Think of Bangalore or Bengaluru as it is officially called now, and the first image that is likely to crop up in your mind is that of a sleek, modern city with plush IT offices and a vibrant pub culture. And, you cannot be blamed! After all, Bangalore goes by the moniker of India’s IT Capital. However, the charm of this city isn’t limited to being the Silicon Valley of India. The capital city of Karnataka is an enticing blend of the past and the present. With a great mix of history, culture, nature and man-made wonders, the Garden City stands out as one of the most interesting places to visit in the country. It boasts a truly captivating architectural finesse that is reflected in its various impressive monuments, particularly in its forts. Are you aware that when Kempe Gowda I established the city in 1537, he did so with mud and brick fort that later transformed into the central part of modern Bangalore? Aptly named Bangalore Fort, this structure has stood testimony to the changing façade of the city over the last few centuries. But, like many structures in the city, this too lost out in the race of time. What remains primarily today are the fort’s Delhi Gate and two bastions. This, however, doesn’t mean Bangalore Fort that once boasted a perimeter of one mile and had 26 towers along the ramparts has been relegated to the pages of history. If you visit the fort, you will know why we say so. The fort area features marble plaques highlighting interesting facts from the bygone era. You can spot the exact place where the British rulers had breached the fort’s wall and ultimately captured it. For history buffs, this fact itself is a big draw. Decked with a small garden within the premises, the place provides a wonderful backdrop for photography. So shutterbugs, add this place to your itinerary now. Huge iron cannons and cannon balls take you down the lanes of history to those times when modern artillery was a distant dream and battles were fought with these giant beasts. Religiously inclined travelers will be delighted to discover a Ganapati Temple within the fort area. Just in case you are wondering about its origins, the temple dates back to Tipu Sultan’s time. The larger-than-life image of Tipu Sultan has made a permanent place in India’s history as a powerful ruler and a great fighter who stood against the might of the British Empire. Yet, there’s another side of Tipu Sultan that sometimes gets overshadowed by his valor. He was a man with a sharp sense of architectural beauty. This fact gets reflected amply in the monuments and structures he built. 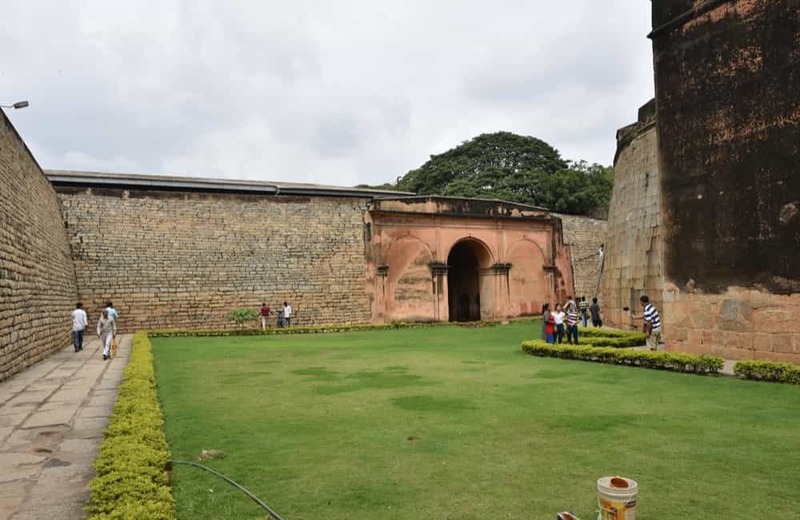 One such structure is the Tipu Sultan’s fort in Bangalore. 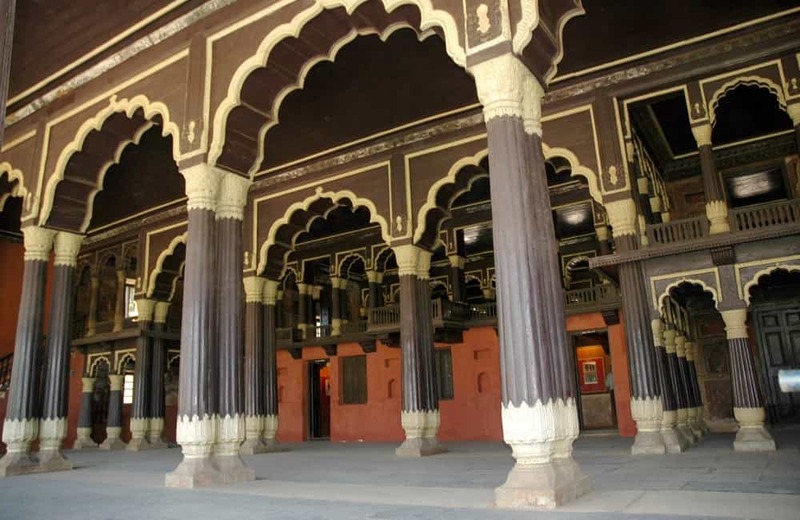 Situated within Bangalore Fort, this fort is an example of Indo-Islamic architecture. Also known as Tipu Sultan’s Summer Palace since the place served as his summer retreat, it marks the location of his armory as well. Whether you are interested in exploring the historical angle of this fort or not, there’s no denying that the two-storey structure offers a visual treat. The breath-taking architecture of the place is further enhanced by teakwood carvings. Vibrant floral motifs and murals adorn the ceilings and the walls of the palace, making it a treat to your eyes. When you explore the place with the help of a guide, you will be able to discover hidden chambers within it. Now, that would be a thrilling thing to do, wouldn’t it? The museum housed there features an astounding collection of around 1000 photos, depicting the era when Tipu Sultan rule over this part of the country. You can complete your trip to this fort in less than two hours. However, if you are to stand and wonder at the marvelous structure, even a whole day might not be enough to do so! Forts and palaces of the bygone era are not just about architectural brilliance, but also about royalty and the lifestyle of their builders. If you are fascinated by the royal lifestyle of the kings and queens, you must not miss visiting the fort-like Bangalore Palace. 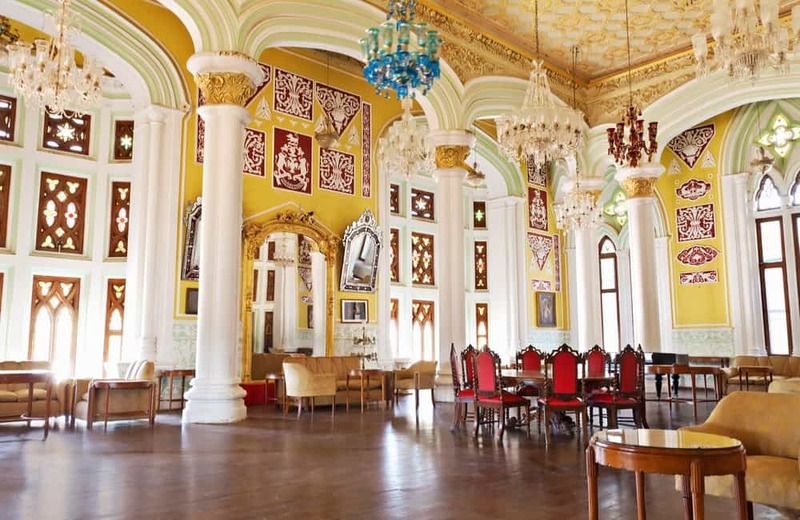 A landmark attraction in Bangalore, this palace offers a rich glimpse of the erstwhile regal opulence. Built in Tudor style of architecture, the palace boasts fortified towers, turrets and battlements. The palace complex encompasses an area of 454 acres while the palace itself covers a floor area of 45000 sq. ft. The astounding size of the palace complex notwithstanding, it is the overall beauty of the structure that draws scores of visitors to it every day. This palace once served as the Bangalore residence of Maharaja Chamarajendra Wadiyar X. Lavish wood carvings, Roman arches, ornate pillars, elaborate cornices and floral motifs highlight the interiors. A huge collection of photographs and renowned paintings from the 19th and 20th centuries form a part of the palace décor. The list of things to see at the palace also includes a Coat of Arms which was gifted by the British rulers to the Wadiyar royal family. The courtyard features a splendid fountain and a colorful tile bench, while the ballroom and durbar hall beckon tourists inside. All these and much more make a visit to the palace an experience in itself. Devanahalli Fort is a fine example of architectural brilliance and historical significance. 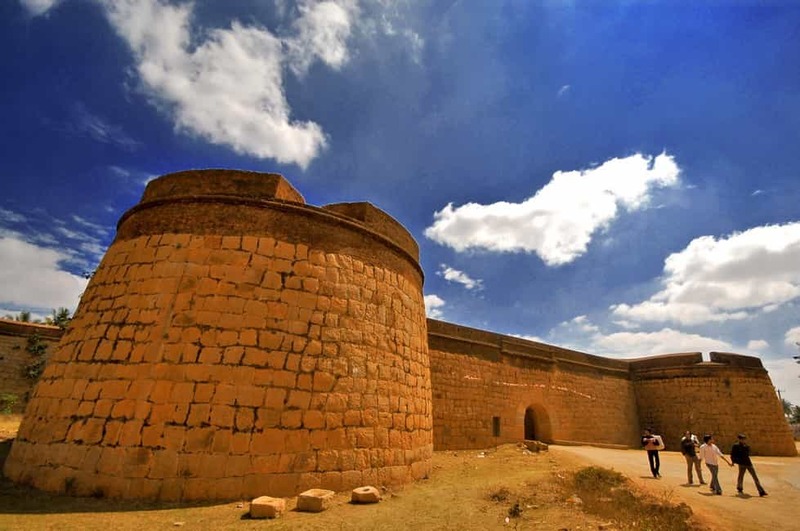 Located just 35 km north of Bangalore, the fort traces its origin to 1501. Going by historical records, the fort was built by Mallabaire Gowda. It has been witness to several battles and the rise of fall of many rulers. Every nook and corner of the fort has a story to share with you. Spread over a sprawling 20 acres of area, it is also famous on another account – the place of Tipu’s birth is located near the fort. Before it came under the dominion of Hyder Ali and then Tipu Sultan, the fort was occupied by many rulers. When you visit it, you will be able to see the structure on the premises where Hyder Ali and Tipu Sultan once lived. Needless to say, this forms the main attraction of the fort; the dewan’s house is also intact till date. A common feature of most forts in India is the presence of temples in and around it. Devanahalli Fort is no exception to this as many temples adorn the fort complex even today. Among the oldest temples is the Venugopalaswamy Temple that boasts an incredibly sculpted tower above its sanctum. Siddalingeshwara Temple is another structure that draws visitors to the fortress. However, it is not just the religious aspect that brings people to these temples. The beautiful architecture leaves a lasting impression on tourists and makes them marvel at the craftsmanship of the workers who built these structures centuries ago. Ancient mountain forts have a charm of their own, and the same stands true for Skandagiri Fort. 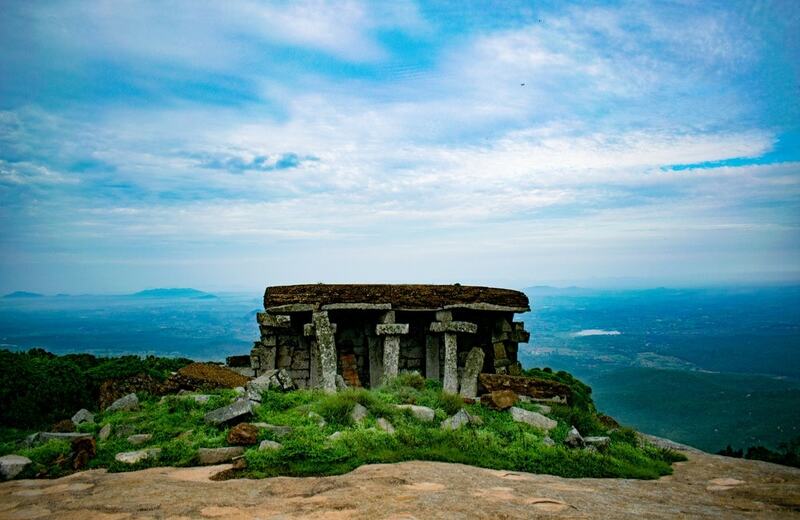 This mountain fortress is situated at a distance of about 62 km from the city of Bangalore. The fort isn’t enormous like the others, but it makes up for this with an intriguing history and a sense of mystery that surrounds it even today. Also known as Kalavara Durga, this fort was built by Tipu Sultan. While not much remains of the fort today, what still draws visitors to it is the spectacular trek to reach the mountain peak, making it a trekker’s paradise. Trekking through the wilderness definitely adds to the attraction of the fort. If you take the effort to trek to the fort and camp there for the night, you will be amply rewarded the next morning when you see the sun rising above the clouds. Such a rare sight experienced from a historical location adds a romantic touch to the whole experience. Wait, it gets better when you consider that Tipu Sultan might have enjoyed the same scene once upon a time standing on the same spot. Oo la la! When you have such historically significant forts beckoning you, it’s hard to remain immune to their charm. If you are a travel buff, form the itinerary accordingly and also keep some days in hand to explore a few other attractions of Bangalore, like Cubbon Park, Lalbagh Botanical Gardens, etc. This city has something to entice everyone, regardless of your age. All you need to do is plan your trip, books your tickets and hotel in Bangalore, and pack your bags to explore the beauty of the city and its forts. By the way, put on a pair of sneakers as you’ll have to do a lot of walking in and around these forts. Breaking a sweat while sightseeing is not a bad idea after all, right?